I’m a big fan of The Letters Page. Texts and emails are fine, but there’s nothing like a hand-written letter. – Roddy Doyle. 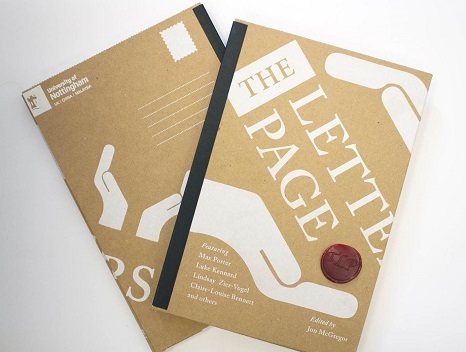 The Letters Page, Vol 3, printed by Dizzy Ink is an 80 page craft-bound book with fold-out facsimile reproductions of the original handwritten letters, featuring a screen-printed cover which folds out to form its own mailing package, complete with wax seal. Volume 3 will be launched on October 17 2018, but you can obtain a copy by ordering directly from The Letters Page. If you would like to attend the Volume 3 launch at Think in Ng at Cobden Chambers on October 17, please RSVP here. Check out the unboxing of our beautiful and tactile Vol 3!